Let’s stick with the giving stuff away for free theme for a bit. So you have established yourself with a steady dull hum if not yet a slight buzz. Your local shows are selling out, you can sell your merch without a problem at the shows and some on your website, you’ve had a couple of A&R types sniff out your manager, you are basically on your way. At this point, there is a good chance that a couple more facts are accurate: 1. while you may be hot sh*% in your home town, the country, let alone the world, has no idea who you are and hasn’t heard your music and 2. you are probably dead broke. If you have been cultivating your buzz and building your band’s brand, you have put your group in a potentially great position. Here’s why. Think of all of the television shows, commercials, movies, webcasts, radio promos, infomercials, etc. that use music. Granted, some of the big companies like Ford and American Arilines will pay gobs of money to use a Rolling Stones or Led Zeppelin song for their next commercial, but think of all other smaller fish out there that do not have the budget to pay a publisher half a mil to use 19 seconds of Paint it Black. That’s where you and your band’s buzz may come in. The “hip” companies out there always have an ear to the streets/clubs/myspace music pages looking for the next best thing so they can glom onto him/her/them thereby making their company appear uber cool. If one of these marketing geniuses sees your buzzworthiness you may just find your music or even your bands image, likeness or name in a commercial on television or net. Even if you haven’t released a single or an EP, you can still license your music and wind up in front of a national or international audience. Granted, there are a lot of what ifs in this scenario, but it does happen and its pretty sweet when it does. A commercial? A song on a tv show? I bet you can visualize the money taking the place of your subway card and random email addresses written on a sticky note in your wallet. Not so fast. Chances are the compensation section of your license agreement for this commercial opportunity reads as follows: promotion value only/no further compensation shall be paid. Well that doesn’t seem right, does it? We’re broke, how can we do anything for free? While it would be nice to get paid at least the union rate for appearing on a commercial, the fact that you are not in the Screen Actors Guild or the American Federation for Television and Radio Actors is probably a big reason that you got on tv. 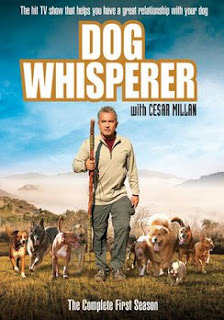 Even though a video game is purchased by 6 million people across the globe or an episode of the Dog Whisperer was viewed by 2 million doesn’t mean that your music on either one will net you much more than a credit which momentarily flashes on the screen. Chin up, even if you don’t get paid for this commercial or license opportunity, chances are many, many more will follow. Putting aside the fact that after this one placement television producers or video game developers or advertisers now know your band’s name or music, just think of the new opprotunities that will open up to your band. Whether they remember it or not, a huge audience has heard your music. This type of placement will go to the top of your press kit and will be the first thing you or your manager or booking agent will say to when trying to secure any type of new business for the band. I’ve seen a free appearance on a commercial or a free placement of a song during a sporting event benefit a singer’s career in a monumental way. More doors open in terms of licensing opportunities, your asking rate for concerts and appearances will go up, more clubs and venues will want to book your now national or international act, and record labels will definitely take notice.